This expansive landscape mural extends as far as the eye can see, a single mountain stands in the distance under a partly cloudy sky. This is a very serene scene that will add a sense of peace to any house. Relax your mind and brighten up your day with this Iceland Wall Mural. This wall hanging gives the appearance of a hand drawn landscape, depicting a finished product of a bridge spanning a waterway. Made from recycled paper under glass. This item also has a coordinating piece to match together as a set, item TN-891032 (sold separately). 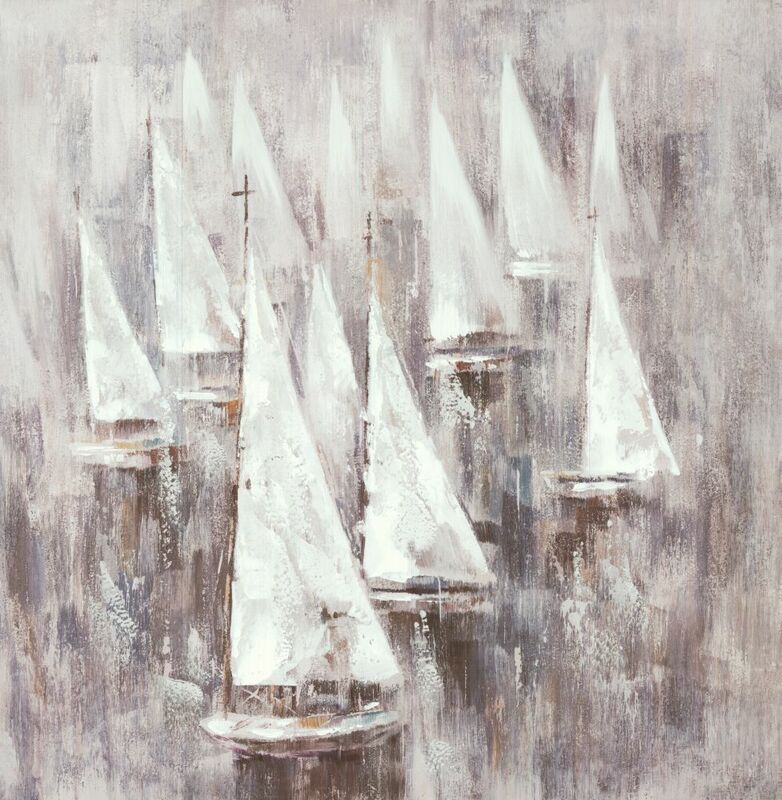 Sea Boats, Landscape Art, Canvas Print Wall Art This is a beautiful canvas print wall art. It has a rich texture that will enhance space. The artwork is stretched on solid MDF and is unframed. It has one saw tooth hanger and depth of 1.5 inch. Made in Canada, it is packaged with care and is shipped to you, ready to hang on your wall. Brought to you by ArtMaison Canada.